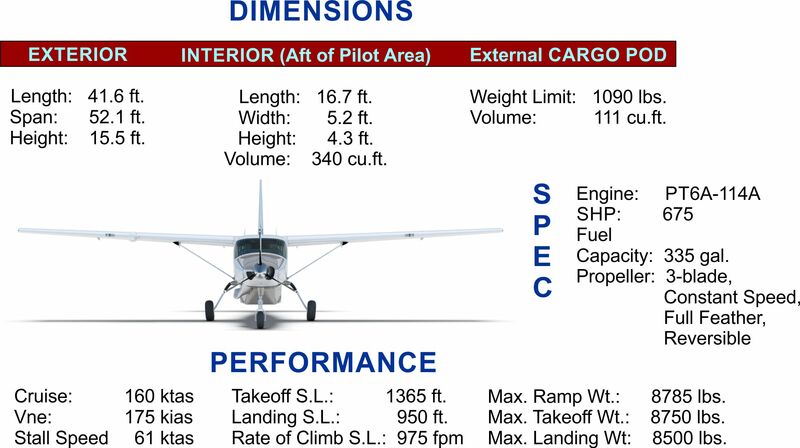 The Cessna Super Cargomaster is a single-engine, high wing, turboprop aircraft with fixed landing gear. 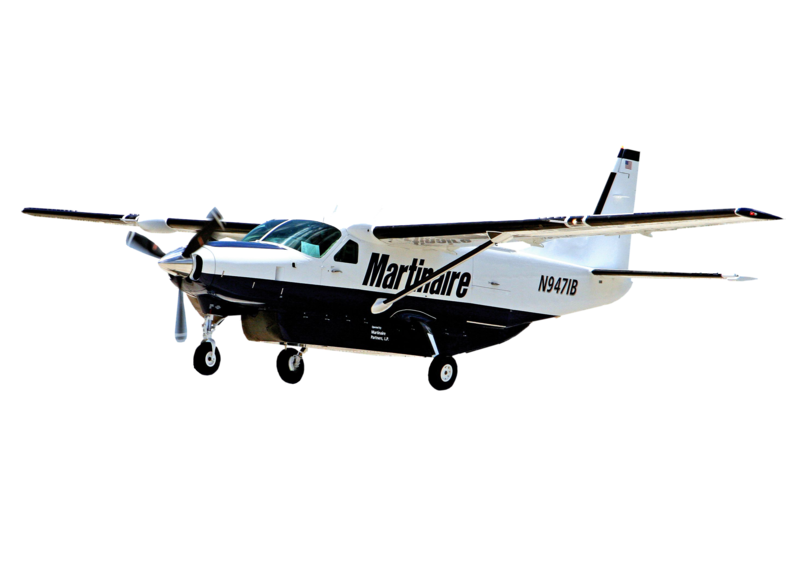 Martinaire uses the cargo variant which is perfect for freight transport given its spacious flooring and front-to-back cargo loading capability for heavy, aerial lifting. This aircraft excels where others cannot, easily taking off and landing on short strips; in rough terrain; and in all kinds of weather. The reliable Super Cargomaster ensures your freight is shipped on-time in any situation.